47 percent of those between the ages of 18 and 34 would rather spend money on travelling than on buying a house. That’s nearly twice the amount of those 45 and older — 26 percent — who said the same. That’s quite the generational difference, and it points to the strong interest in the experience economy that’s also backed by a 2014 poll which found 78 percent of millennials would choose to spend on “a desirable experience or event” rather than a physical product. And Millennials are spending more on travel than ever, too. So why do millennials love travel so much? Well, it both helps us escape our routine and nets us some sweet Instagram photos as a bonus. And the lack of a bright economic future might be guiding them towards experiences that will last in their memories longer than their Medicare payments seem likely to stay in their futures. But another big positive is just how simple it is to travel nowadays. International travel is easier today than it ever has been, thanks to advancements in modern technology. If you’re planning your next big trip any time soon, you’d be smart to check out this look at every great travel app, website, and browser extension that can help power your wanderlust across the globe. Whether you’re a digital nomad or simply a big fan of the experience economy, you’ve likely had to book your fair share of Airbnbs. And as any experienced Airbnb’er will tell you, the price per day on the site tends to grow larger by the time you actually check out, thanks to the varying fees for cleaning or service. You’ll see the lump sum you’re paying at checkout, but the additional fees can obscure just how much you’re paying per day and therefore makes it harder to quickly pick the best deal for you. Naturally, someone invented a browser extension to solve the problem for you. 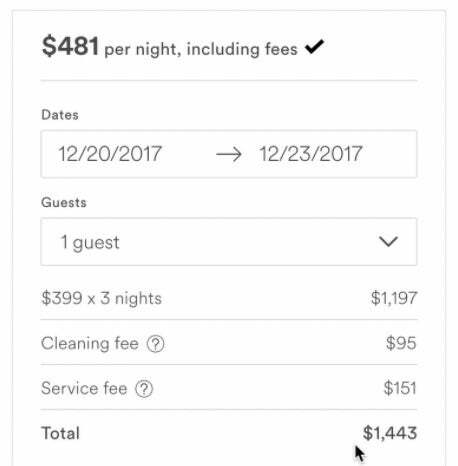 The “Airbnb Price Per Night Correcter” debuted in a viral thread on Reddit just last week and, once installed, will present you with the true per-day cost of your potential Airbnb rental, as the above photo illustrates. The extension is by developer David Sawyer, and already has almost 2,000 users on Chrome, though you can install a Firefox version as well. What about when you finally arrive at your dream destination? What then? You’ll want to discover the coolest places, but if you’ve never set foot in Dublin or Istanbul in your life, you won’t have a clue where to start. The Cool Cousin travel app is your solution: It connects you with the wisdom of locals who have interests similar to yours, and lets them guide you to unique experiences and locations through a personalized map of the city, along with advice straight from someone in the know. You’ll no longer need to spend your first few days orienting yourself to what spots are your favorite. This public transit app and mapping service can guide you through the ins and outs of an unknown location. It lets you save your maps for offline use, which is a must for smartphone-reliant individual planning to traipse around a new city. Personally, I’ve been forced to rely on screenshots of Google Maps when my connection has dropped in the past, so I’m definitely downloading this one on my next hours-long road trip. Speaking of Google, sometimes the oldies are the best: Google Translate does just what it claims to, with a moderate accuracy rate that won’t turn you into a local, but can help you read the bus station signs. If you’re in a foreign country, downloading this app is a quick step that might wind up saving you a lot of agony down the line. I’ve been lost on foot in Rome before, and can tell you that it doesn’t matter how amazing the bus lines are if you can’t tell your Via Nomentana from your Via Laurentina. The app is free and available through the App Store as well as Google Play. If you have a few months before the trip, there’s no harm in dusting off your language learning skill set and getting a leg up on Google Translate. The language options cover all the usual suspects, like French and Spanish, but you can learn everything from Swahili to Vietnamese, as well. Let’s be real: You’ll still want Google Translate in your pocket, but at least with a little practice on this travel app, you’ll be able to say please and thank you. It’s also a great visual showcase. Through the app, you’ll be able to push and pull on map simulations of the weather to see how it has changed and will change in the future. Here’s the new travel app on the block: A Europe-based boat rental app that aims to streamline the process of renting out a yacht, sailboat, motorboat, houseboat, catamaran or even jet skis. Their destinations include Malta, Croatia, Greece, Italy, Ibiza. Cannes and Zadar. Granted, renting a houseboat isn’t for everyone. 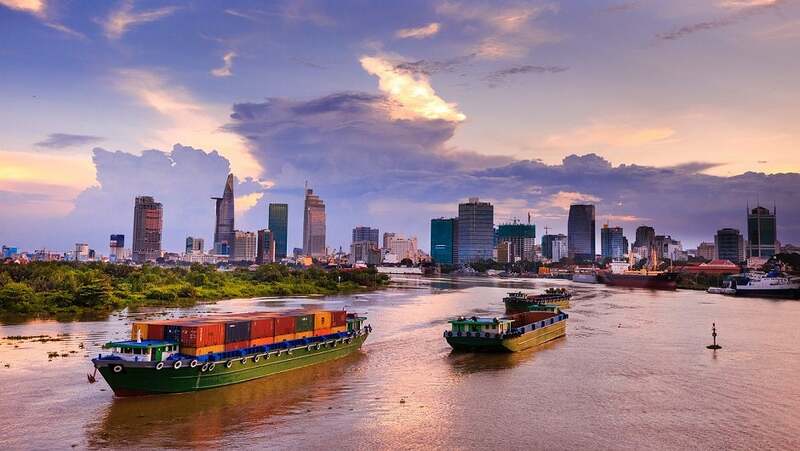 But if you want to spice up your trip, this looks to be a great way to get a quick personal cruise without actually buying a boat and paying for the unending insurance and maintenance that come with it. Keeping your personal information safely while staying online is both more difficult while traveling the world and more important — you don’t want to have to freeze your credit card while traveling to a hotel that you planned to use your card on, for instance. Windscribe — This service offers 10GB bandwidth per month for free, and comes with an adblocker and firewall, making it likely the top option. Hotspot Shield Free — the free tier allows you do stay secure on up to five devices, though only for 500MB of data daily, making this a good option for those who only need to access secure accounts once in a while. Speedify — This one’s great for those hoping to keep their internet fast as well as safe. How fast? They claim to “deliver over twice the performance of conventional VPNs.” They only let you use 1GB of data per month under their free plan, but if you want that 1GB to be delivered quick, this is the service to rely on. PrivateTunnel — This service changes it up by offering you a full 200MG of data for free. Once that one-time allotment is gone, you’ll need to buy more. So if you’re just going on a two-week trip, you’ll have all the data you’ll need. Once you’ve set up one of the above VPNs, you’ll be able to safely download every other travel app on this list and be fully prepared to stake your own claim to the Millennial experience economy.